HOLYOKE, MA -- An elementary school in Massachusetts is eliminating homework for the entire school year. But there's a catch - instead of doing homework, kids will stay an extra two hours at school. Kelly Elementary School is part of the Holyoke School District and according to Western Mass News, the district was declared "chronically under-performing." 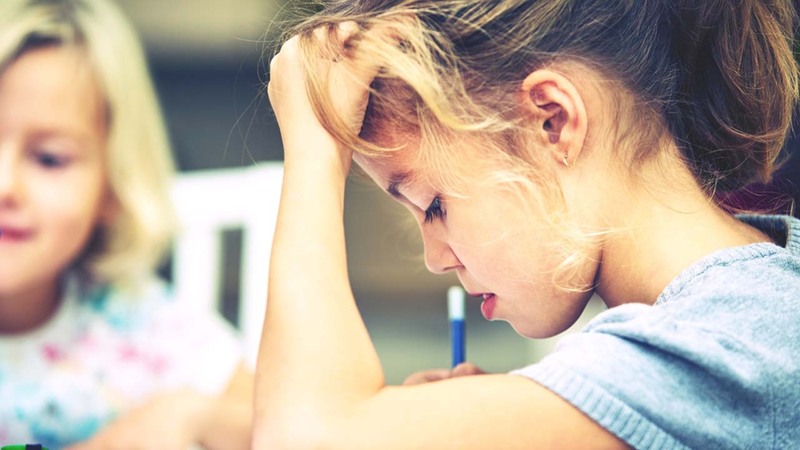 Jackie Glasheen, principal of Kelly Elementary School, came up with the idea to eliminate homework as one way to hopefully bring about improvement in the upcoming school year. "I'm a mom. We all are saying as we clean up the supper dishes 'Did you do your homework? Okay, take out your homework, I'll help you with it, let's go!' So I don't know if always the responsibility was on the student as much as we'd like to think it was, but you can look at the data both ways," Glasheen told Western Mass News. Glasheen's school is K-8 and like many other schools in the district, Kelly Elementary will be going to a longer day, beginning at 8:00 am with a 4:00 pm release. She believes the new schedule will fill in gaps and eliminate the need for homework. "People watching this interview will say 'Geez.' Kelly School may have some of the lowest performing numbers, they need to do more work.' Well, we are! We are going two hours longer in our school day. We are providing specific instructional intervention to close those gaps," Glasheen told Western Mass News. The no-homework policy will be considered a pilot year and will be evaluated next summer according to standardized tests and other measures. 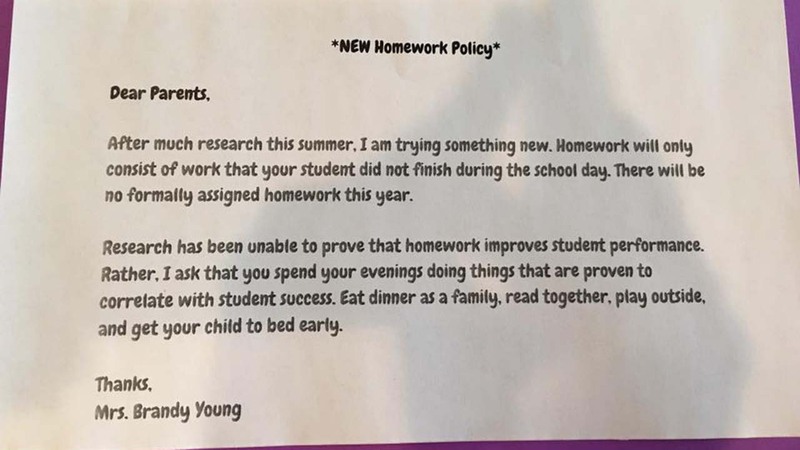 This is not the first time a teacher has decided to ditch homework. A second grade teacher in Texas recently made national headlines for testing a similar policy.